The Marine Corps War Memorial is in the running for $1 million in preservation grants, but your votes are needed in order for it to win the competition for the funds. American Express and the National Trust for Historic Preservation launched the initiative that will grant one of 24 selected historic spots in Washington, D.C., special funding. It’s a competition they’re leaving up to the public, which means fans of the various sites need to go online and vote for their favorite. The Marine Corps War Memorial will need to beat out 23 other sites including Mount Vernon, the Washington National Cathedral and the Congressional Cemetery to be awarded the funds. If the Marine Corps War Memorial wins the competition to receive a $1 million grant, the funds will be used for the careful cleaning that goes into maintaining the statue. 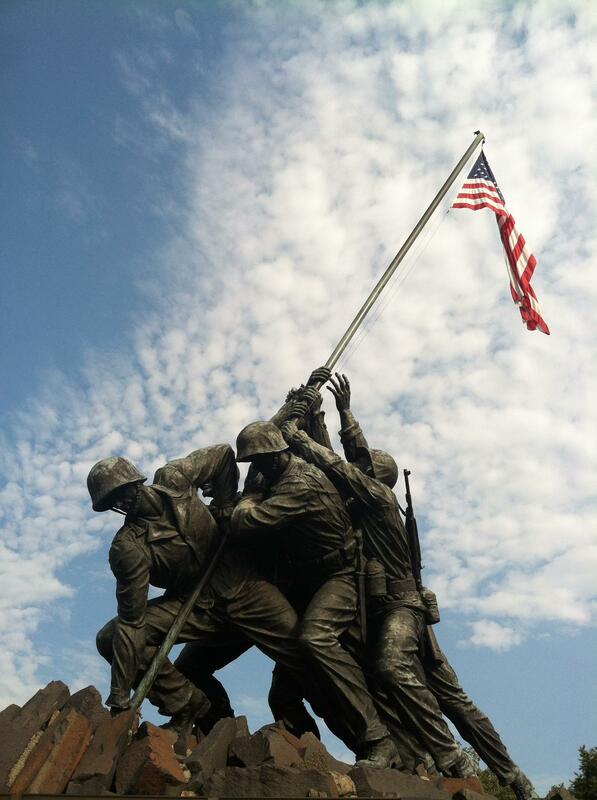 The grant would be used to clean, wax and re-gild the outdoor sculpture, which depicts the iconic image of the second flag-raising on the island of Iwo Jima during World War II. The memorial reaches 60 feet above ground, so cleaning it requires scaffolding and lifts so workers can reach every angle, according to a George Washington Memorial Parkway news release. “Each of the six giant bronze figures accumulates dirt, pollution, bird droppings, pollen, and natural weathering residues that must be removed with specialized pressure washing equipment,” the release states. That ensures that every angle and crevice from the clothing and muscles in the statue that mimics photographic realism can be reached. Fans can vote for the Marine Corps War Memorial once per day through May 10 online or via mobile. Social media also scores points, so sharing with friends via Facebook, Twitter, checking in on Foursquare or taking Instagram photos count, too. Check out all the details here. As a former marine Corps Captain, I hope all Americans remember what the Marine Corps hasd done for our country. And still does. This monument is more than a symbol, it depicts the valor of so many brave marines that gave their lives for the continued freedom we all enjoy today. Please preserve this memorial Our Marine’s deserve this. 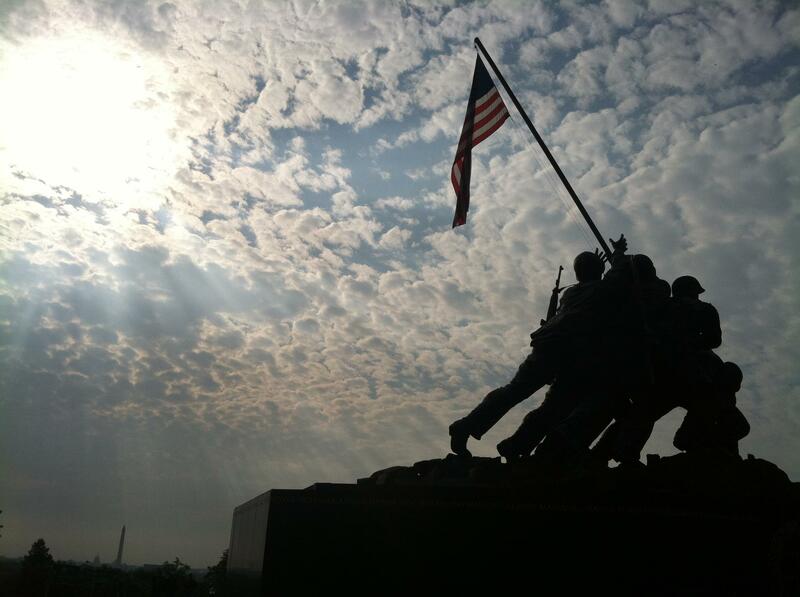 The Marine Corps War Memorial is one of the most visited Monuments in Washington DC. It honors every Marine who ever served. This grant will go a long way to ensure the monument is cleaned and maintained.